Apple CarPlay – One of the most exciting innovations in in-car technology in recent years, Apple CarPlay allows you to manage the core functions of you iPhone right from the centre of your mobile entertainment solution. All of the buttons appear on the screen – your iPhone, iTunes, Apple Maps and Messages – all can be voice controlled or via the easy user interface. Take your calls handsfree with Siri! Order a coffee, play your favourite tunes or find your way around unfamiliar territory. Siri is your ultimate mobile personal assistant. Asked nicely she will even send text messages on your behalf with Apple CarPlay. Apple CarPlay integrates Apple Maps to open up a powerful ‘turn-by-turn’ navigation system all from your iPhone. By leverging the power of your iPhone contacts, addresses and search history you can connect your Apple Maps easily on the go, providing almost instant access to directions, contacts and points of interest. Better still if you’re on the road and need to find a coffee just hit the home button and ask Siri… she’s that good! 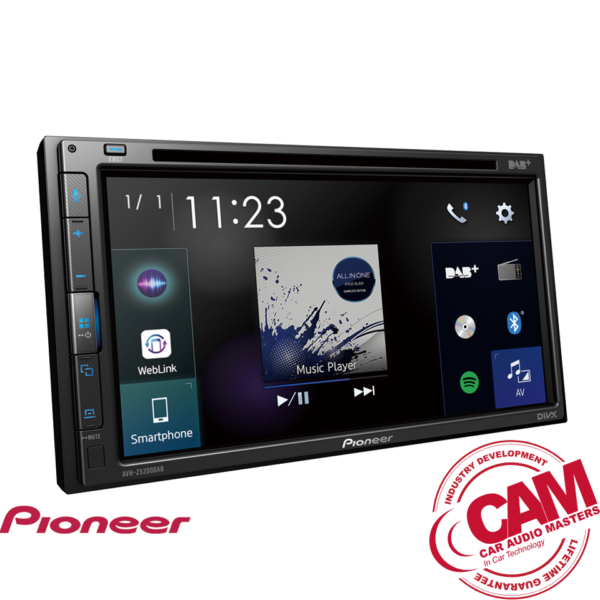 Of course Apple CarPlay allows full control of your music needs, with voice and touch control of all your familiar iTunes functions and features including iTunes Radio and your own playlists – CarPlay does it all. Plus with more Apps always under development your entertainment horizon has just multiplied! Don’t just take our word for it, get into your local CAM specialist store to experience the power of Apple CarPlay first hand. While we don’t yet have hovering cars and time machines, CarPlay gives us a glimpse into the future of mobile infotainment and we like what we see. But Will It Fit My Car? Looking to upgrade your mobile entertainment, infotainment or driver aids but don't know what suits?